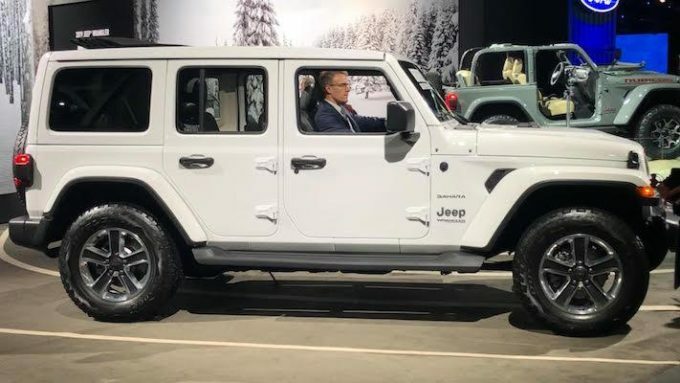 While all the journalists at the Detroit Auto Show were tripping over each other to see Volkswagen’s (VLKAF) presentation and Ford’s latest unveiling, Jeep stood tall with its latest suite of new and updated SUVs. SUVs, crossovers and pickup trucks are selling right now while passenger sedans continue to flounder. It’s no surprise, really, as improved gas mileage and hybrid offerings are making these once gas-guzzling utility vehicles more attractive to own. Now, many drivers feel they can have the best of both worlds — and that’s a boon for Jeep, which saw its 2018 sales climb 17.5% on the year and vastly outperform the overall market. 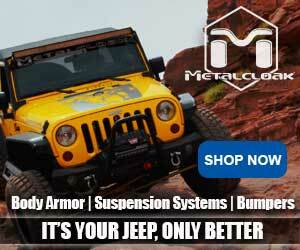 So what’s the lineup look like for Jeep? Let’s start with the Wrangler. This Jeep is an absolute stud (and a blast) in the winter and is one of the most fun cars to have in the summer. But let’s be honest, it has sub-optimal fuel efficiency and has been lacking some of Jeep and Fiat Chrysler’s more modern features. Let’s not forget that the Wrangler won the 2019 MotorTrend SUV of the Year award and is the recipient of this year’s residual value award for the second year in a row? Then there’s the company’s foray into the trucking segment, with the all-new Jeep Gladiator. Unveiled at the LA Auto Show about six weeks ago, the Jeep Gladiator is a combination of the four-door Jeep Wrangler we know and love with the compatibility of a pickup truck. Now no one expects the Gladiator to sag on sales of Ram pickups or Ford’s F-150, but Jeep is hoping to attract buyers with its work and play capabilities. With many of the benefits of a Wrangler — removable doors and tops, along with its off-road capabilities — combined with best-in-class towing, a respectable payload and its five-foot bed, the Gladiator can attract weekend warriors and DIYers alike. Jeep recently gave a face-lift to the Cherokee and is banking on its larger sibling — the Jeep Grand Cherokee — to do some heavy lifting this year. The Jeep Grand Cherokee starts at $33,995, so it’s not a drop in the bucket for those looking for a new SUV. However, that’s downright cheap when compared to the Grand Cherokee Trackhawk, which starts at $86,650 and can run up all the way over $100,000 with a bevy of options. That said, the Trackhawk is packed with a supercharged V8 Hemi engine churning out 707 horsepower, a figure that’s about in-line with Ford’s most powerful street-legal vehicle ever, the 2020 Mustang Shelby GT500. That much ought to tell you something about the Grand Cherokee Trackhawk, but if that’s not enough, maybe its 0 to 60-mph time will. The SUV can dial up to 60 miles per hour in just 3.5 seconds, a figure impressive enough to land it on the track with a number of high-end and very capable sports sedans. Let’s put it this way: A Grand Cherokee Trackhawk can beat out a Mercedes-Benz (DDAIF) C 63 AMG in the 0 to 60 race by three-tenths of a second. What Jeep dubs as the “quickest SUV ever,” the vehicle comes with an automatic eight-speed transmission and offers various drive modes, including sport, snow, track, auto and tow mode. In 2018, the Grand Cherokee saw sales fall 6.5% to 224,908 units. 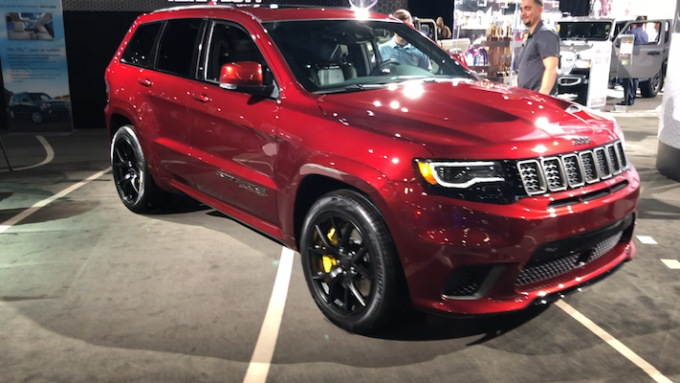 However, it’s clear with the Trackhawk that Jeep is going after customers with deep pockets who want an SUV that’s stylish, capable and loaded with performance.